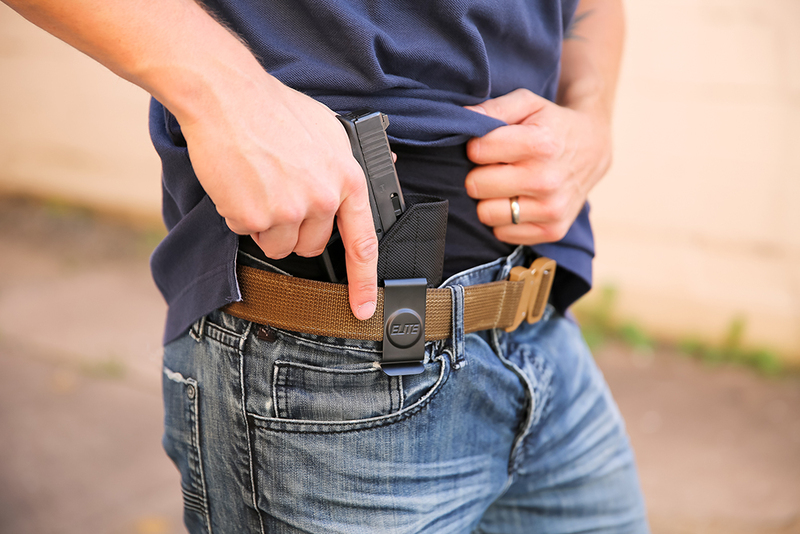 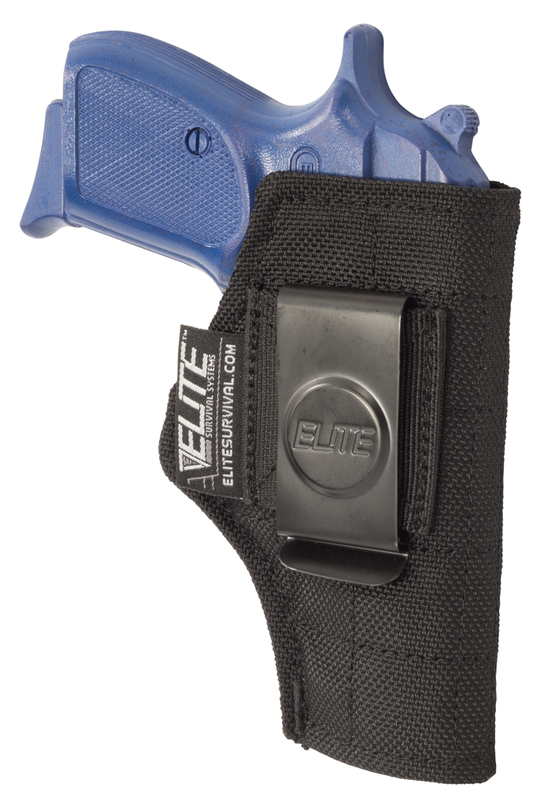 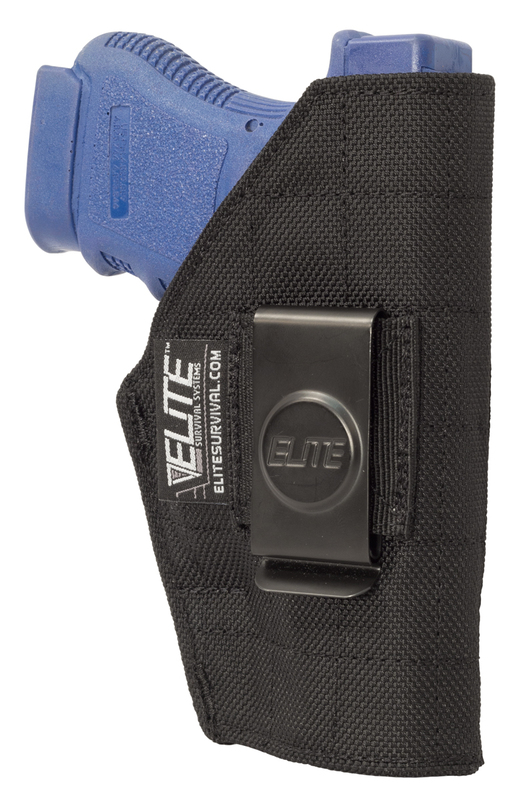 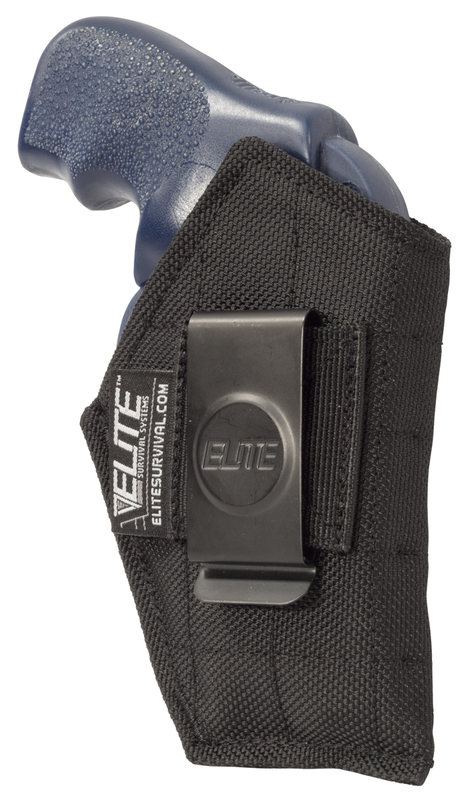 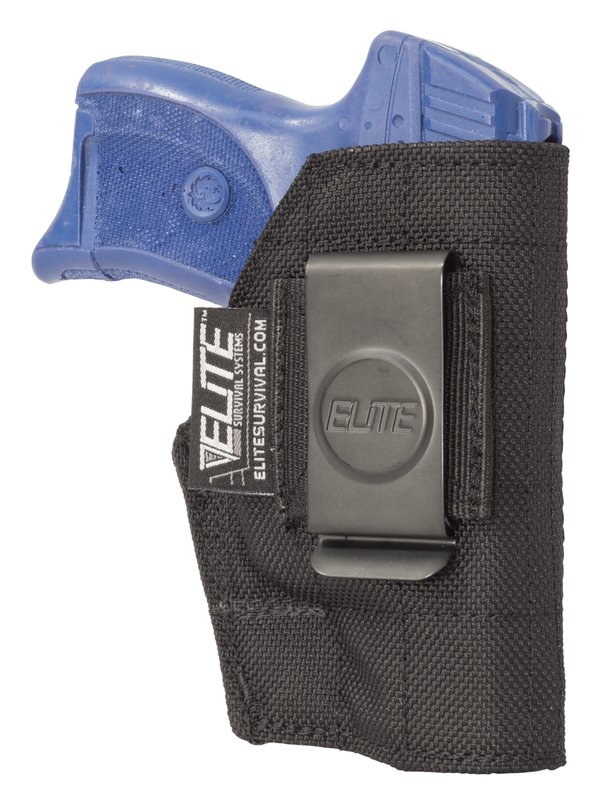 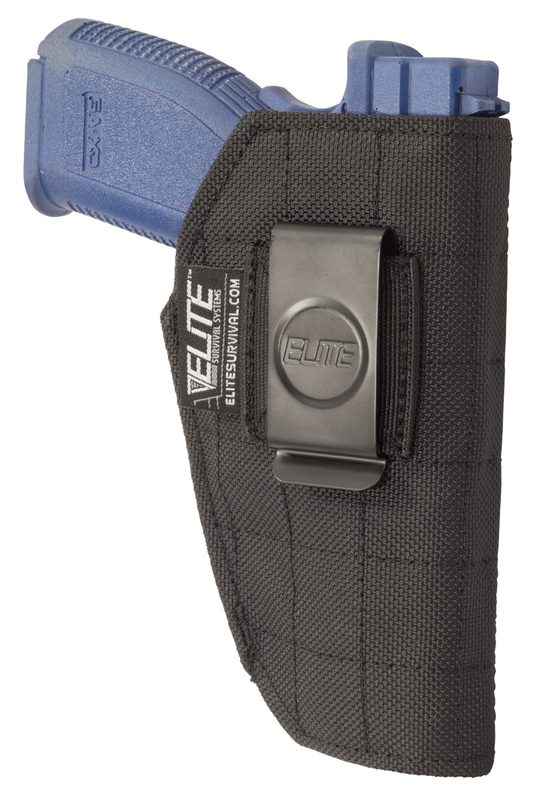 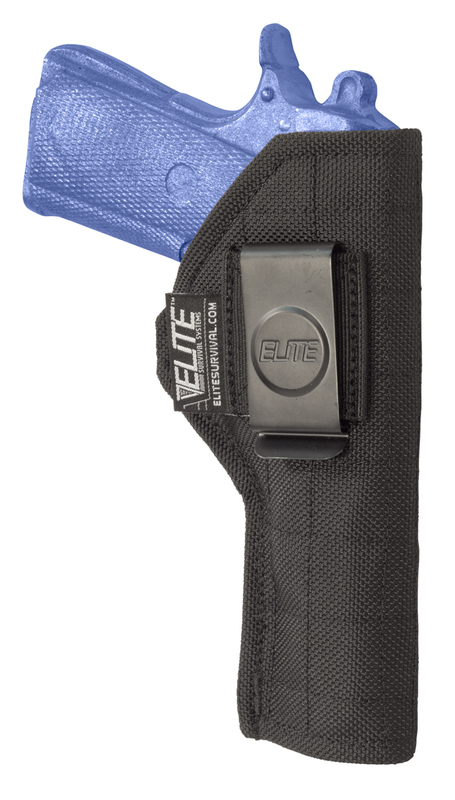 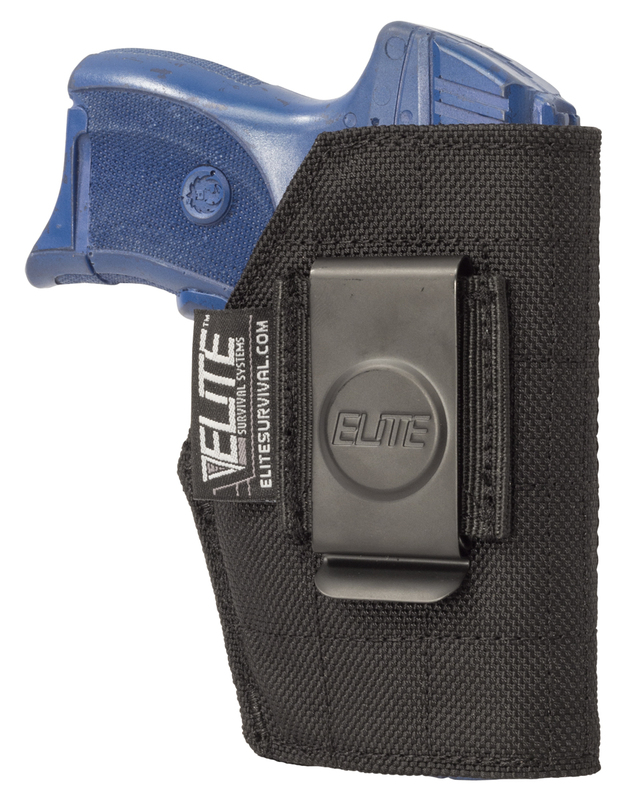 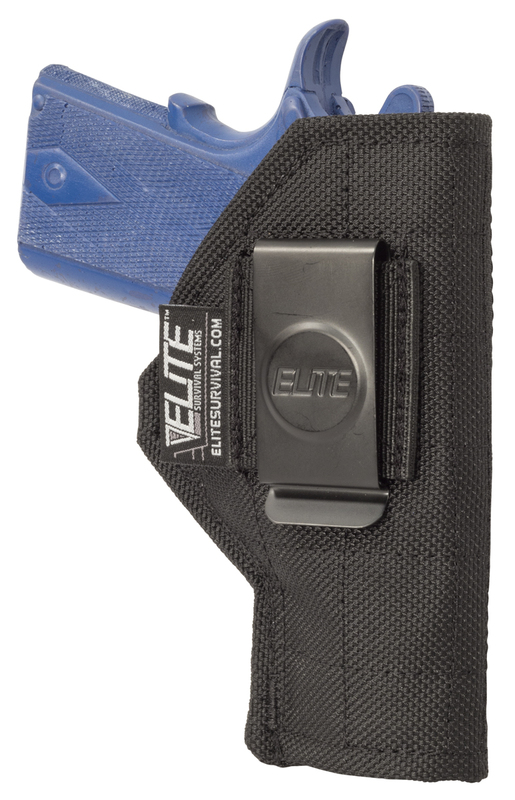 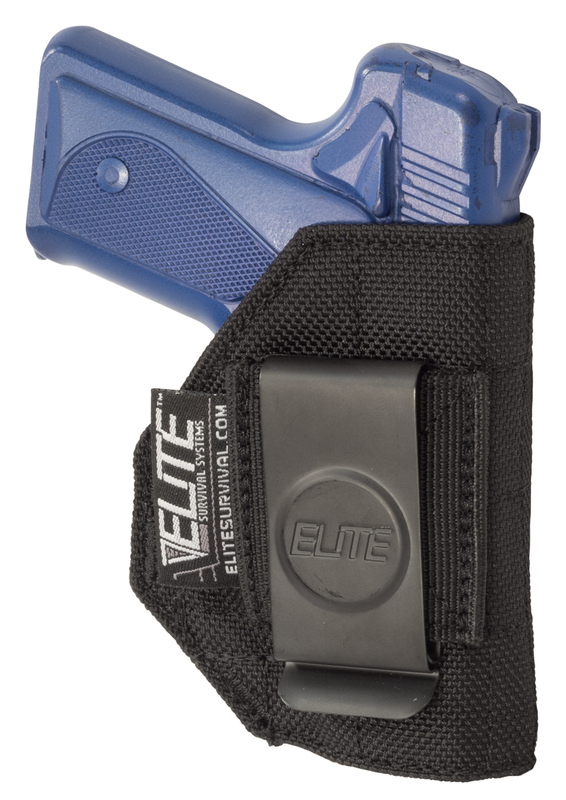 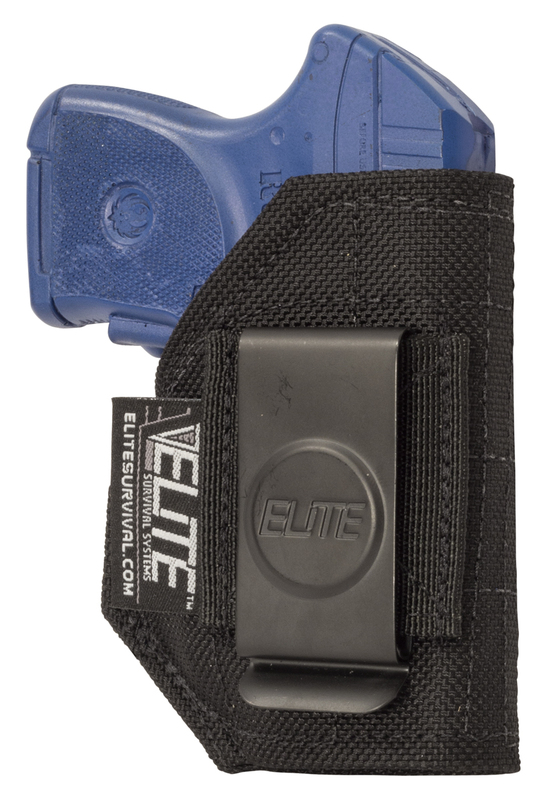 The Elite IWB Clip Holster is crafted for inside the waistband carry and maximum concealability. 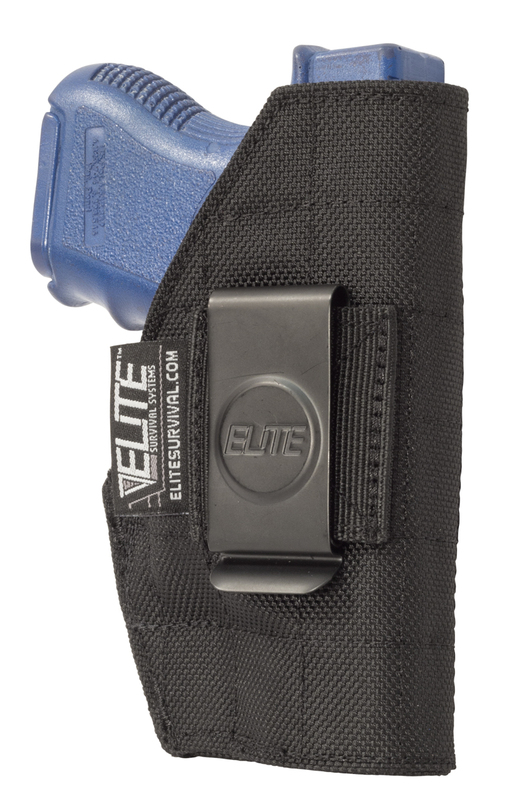 It is constructed of multi-layer, turned and quilted ballistic nylon, and has a sturdy spring-steel clip that clamps on and off belts up to 2.25" wide. 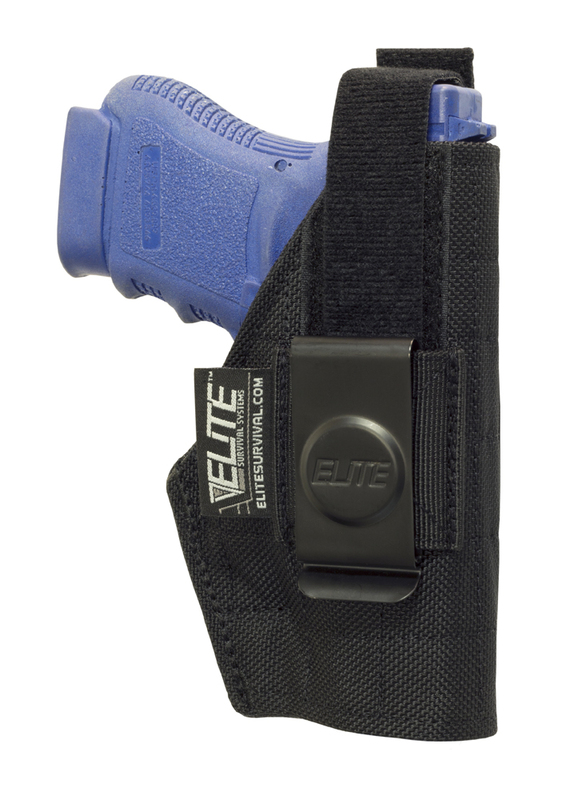 The Elite Belt Clip Holster is ambidextrous, suited to multiple draw styles, and available in sizes to fit most pistols and revolvers. 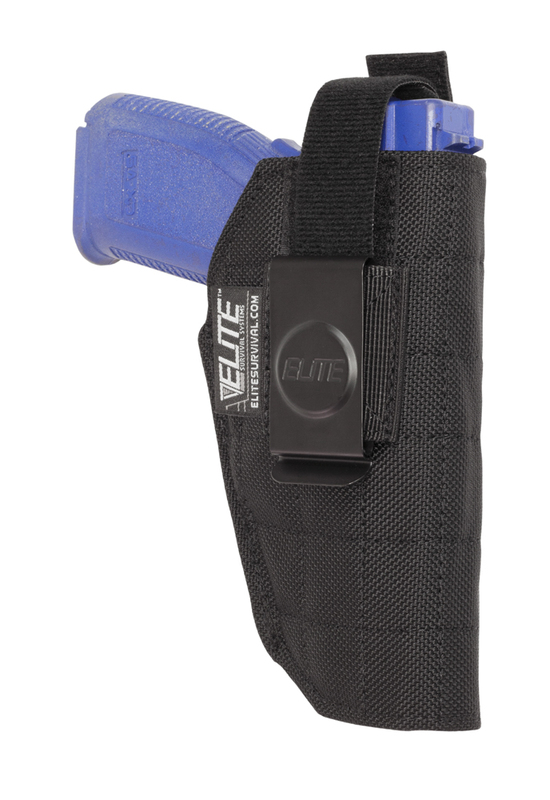 This holster's sleek, comfortable design has made it a best seller!